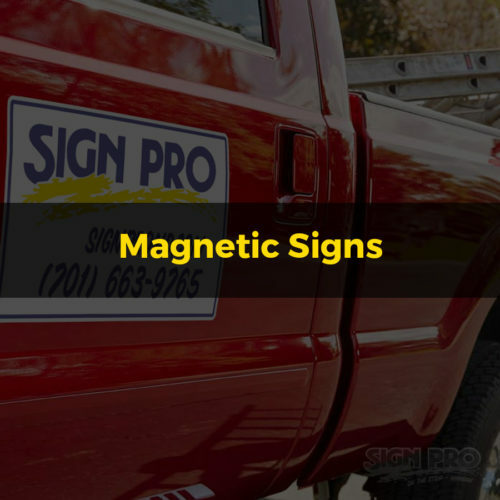 Signs are what we’re known for – this covers a wide variety of applications. 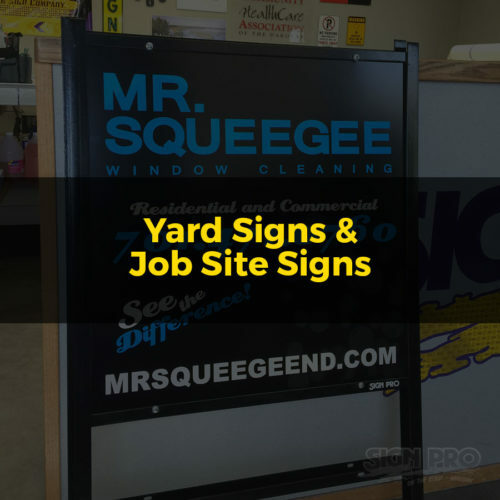 Exterior building signs, pole signs, no hunting, no trespassing signs, no parking signs, and more. 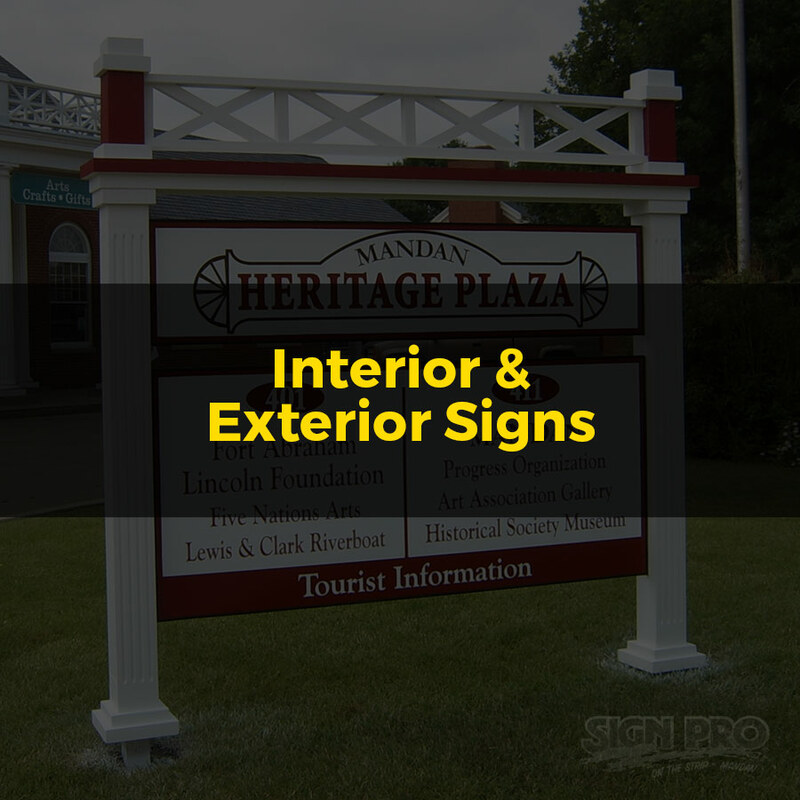 Interior signs, including business logos, restroom signs, notices, and more. Sign Pro® offers a wide variety of sign materials in many colors and finishes. 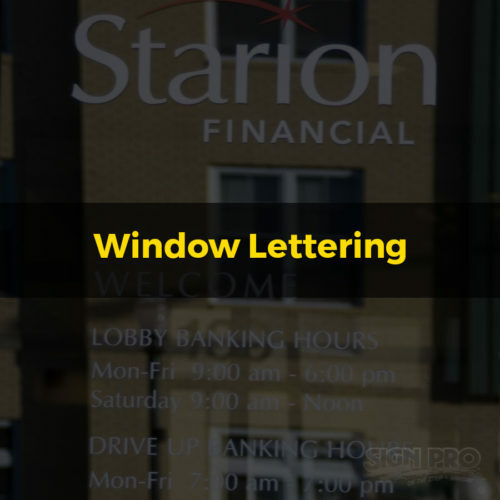 We feature 3M™ vinyl products and Gerber Edge thermal printing, both of which are highly rated for quality and durability.